Between November 29th. 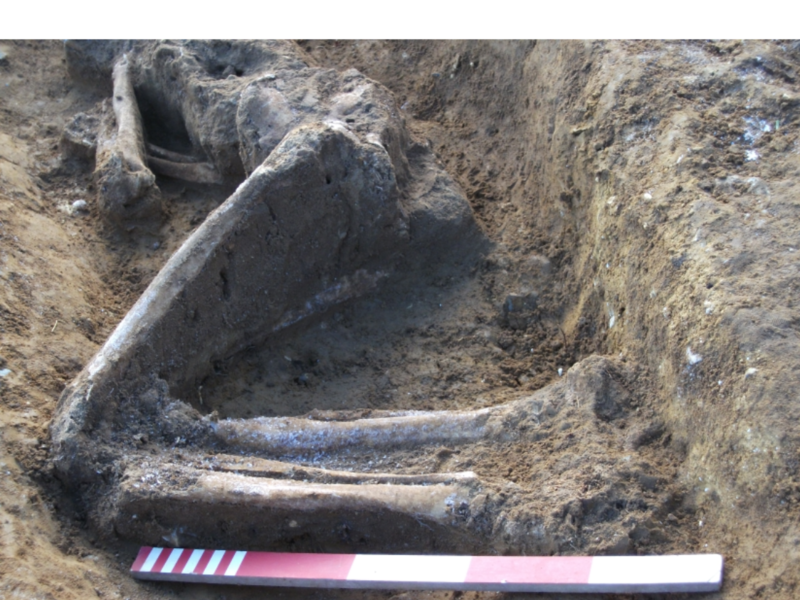 and December 10th. 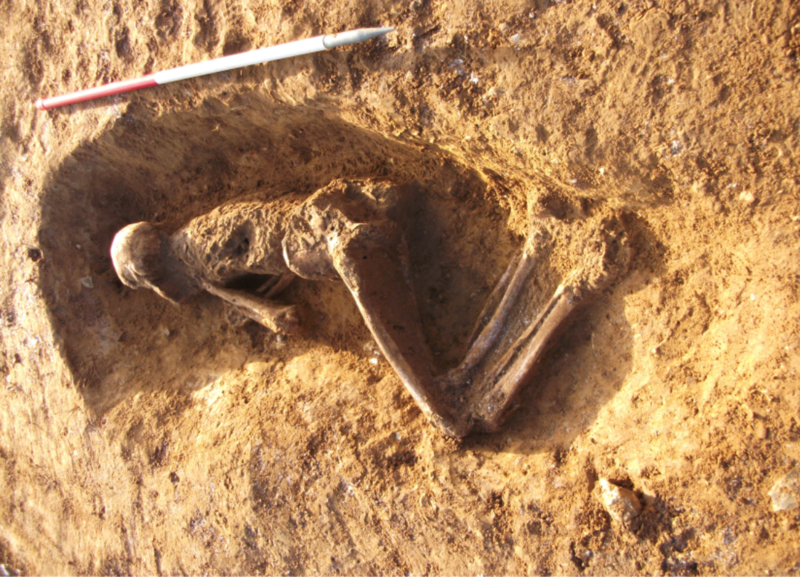 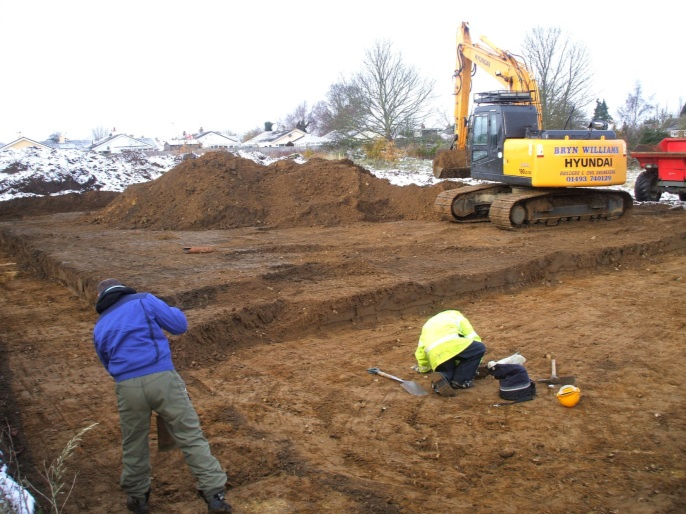 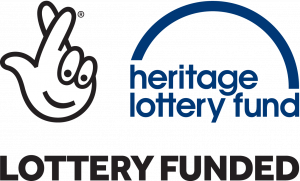 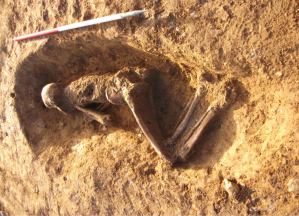 2010 excavations were carried out by Northamptonshire Archaeology on land to the South of Norwich Road, Watton. This site is now being developed by Bennett Homes. 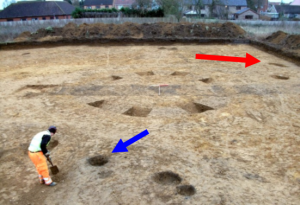 The site was the known position of a Middle Bronze Age barrow. 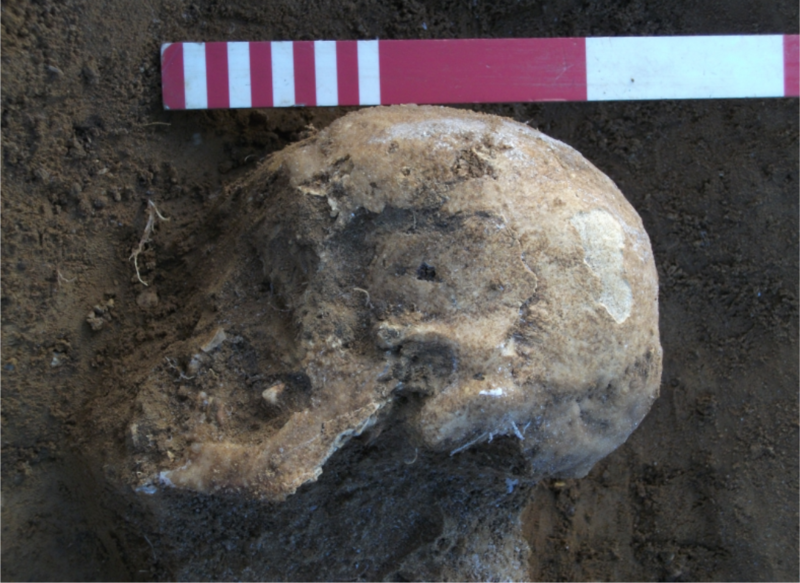 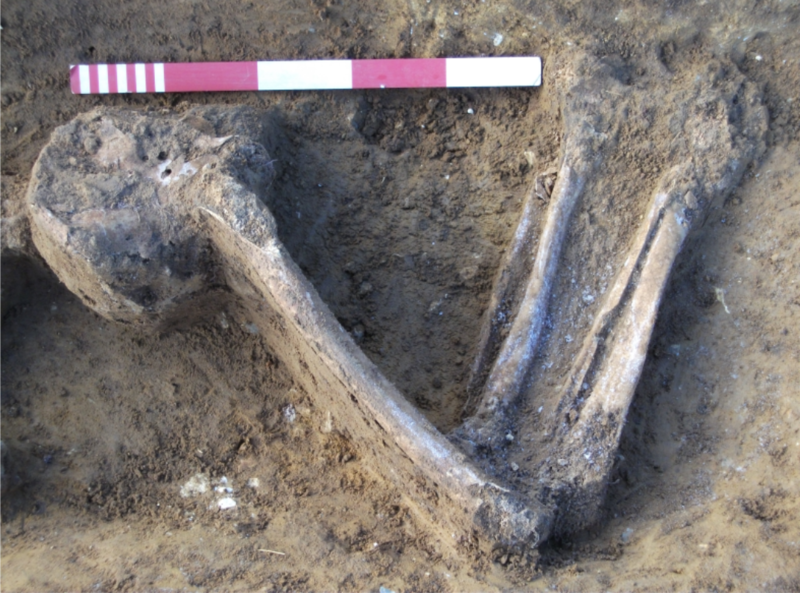 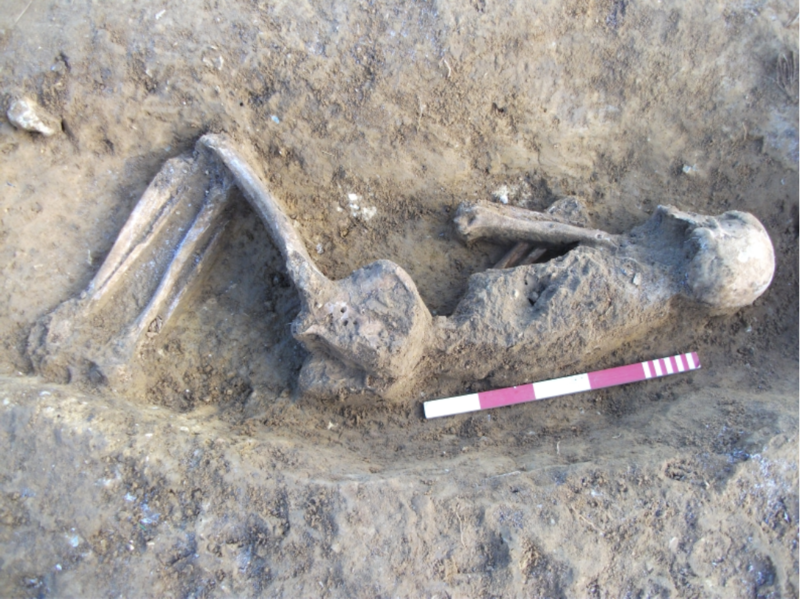 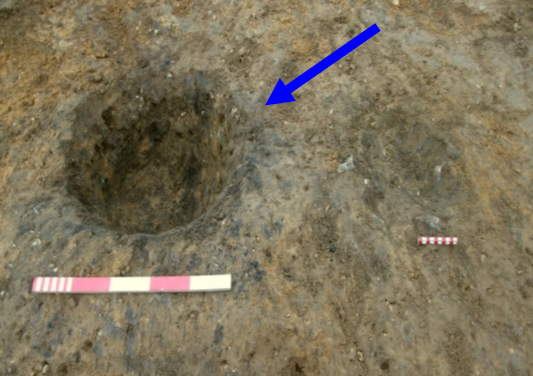 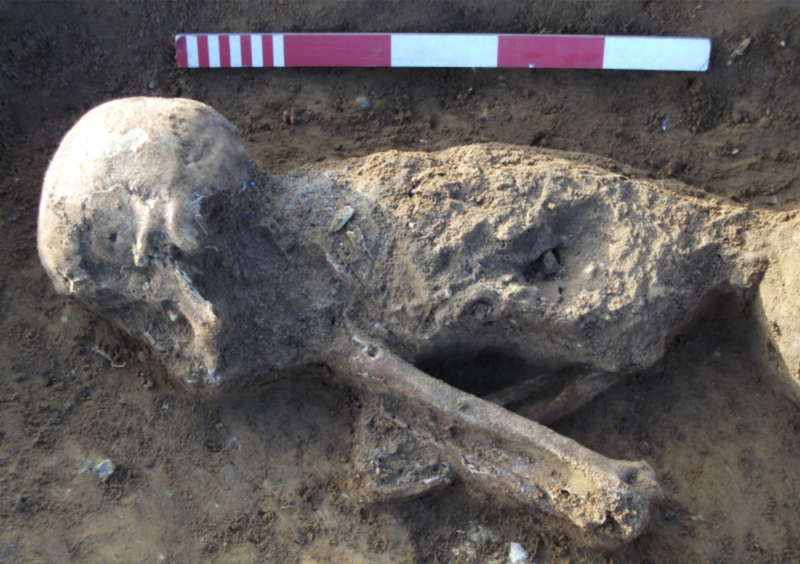 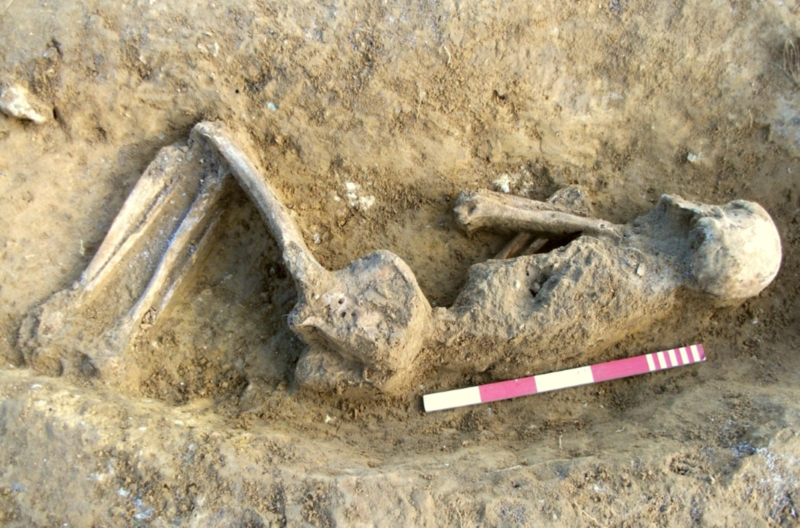 Five cremation burials were uncovered to the North of the site, one arrowed blue in the photo above, along with many small artefacts relating to the Neolithic and Bronze ages. To the North West arrowed red on the picture, centre left, a burial was uncovered (picture above),. Pottery of probable Roman date was found within the fill of the grave.